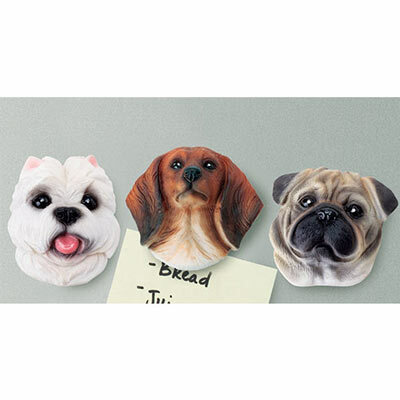 These delightful 3-D doggies not only keep your odds and ends in check, they add whimsy to home or office. Strong yet lightweight magnet, beautifully hand painted, sculpted resin head. Imported. 2"sq. Hurry! Quantities are limited!